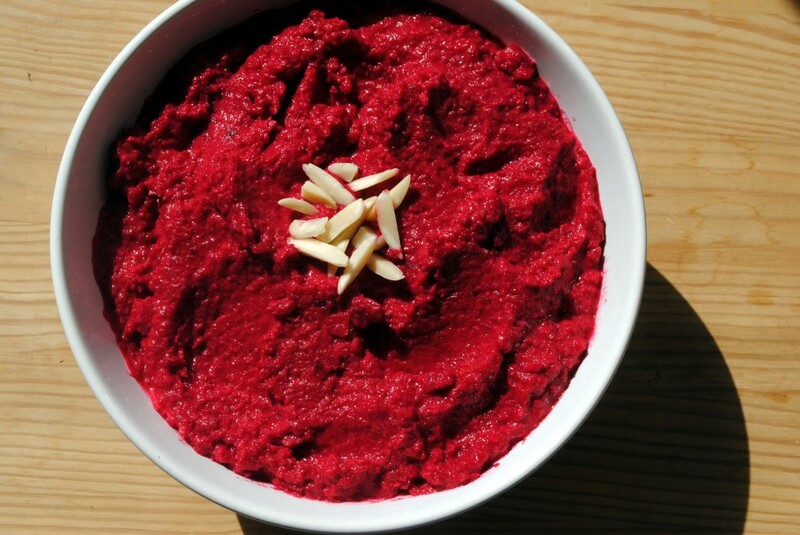 Don’t be scared by the fuchsia color of this dip. 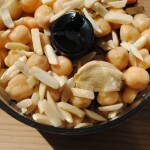 The sweet-earthiness of the beets, the sharp bite of the garlic, and the nuttiness of the almonds more than makes up for any phobia of brightly colored food. And it’s well worth it. I promise. This recipe couldn’t be easier. Roast a beet and combine it with chickpeas, garlic, almonds, and red wine vinegar. Serve with pita chips. Done. The original recipe said to boil the beet, which speeds up the process but I prefer roasting. Wrap the beet in tin foil and roast in a 350F oven for 1 hour, or until tender. Let cool, remove skin, and roughly chop. 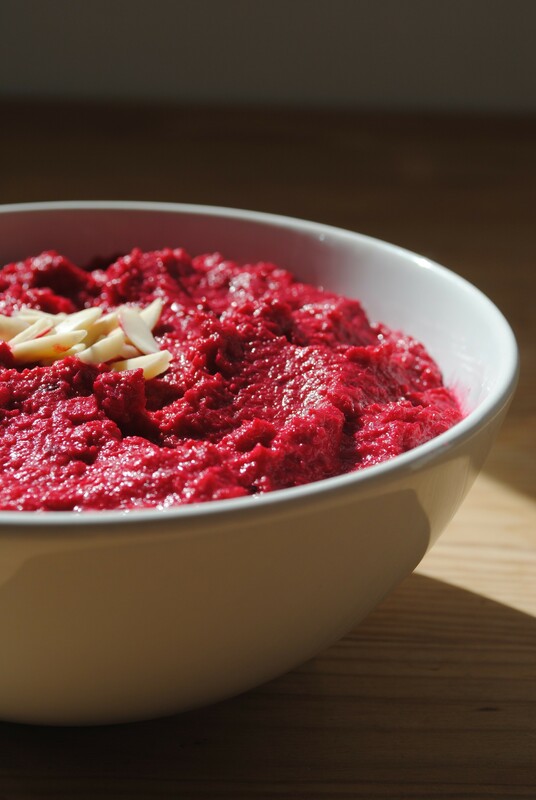 Put the beet in a food processor and add the chickpeas, oil, almonds, and garlic. Blend until smooth. Add the red wine vinegar and blend well. Season with salt and pepper. Serve with pita chips. Notes: I only have a mini food processor so did this in two batches then blended together at the end. Can be made one day ahead; cover and chill and bring to room temperature before serving. I was so excited to make this because I keep getting beets from my CSA and don’t know what to do with them! Then I checked the beets from a few weeks ago and they were already mushy…I guess I’ll keep my fingers crossed for more beets! Unless there’s something you think I can replace the beets with? Awesome! Without the beets this is essentially the base for hummus so I would imagine any number of things could be substituted – roasted red pepper would be nice, maybe eggplant. Let me know if you experiment! I just made this and I love it! I skipped the vinegar and added an extra clove of garlic. 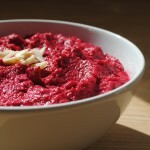 What a delightful way to use beets! this won me a coveted honorable mention spoon at a recent dip party! 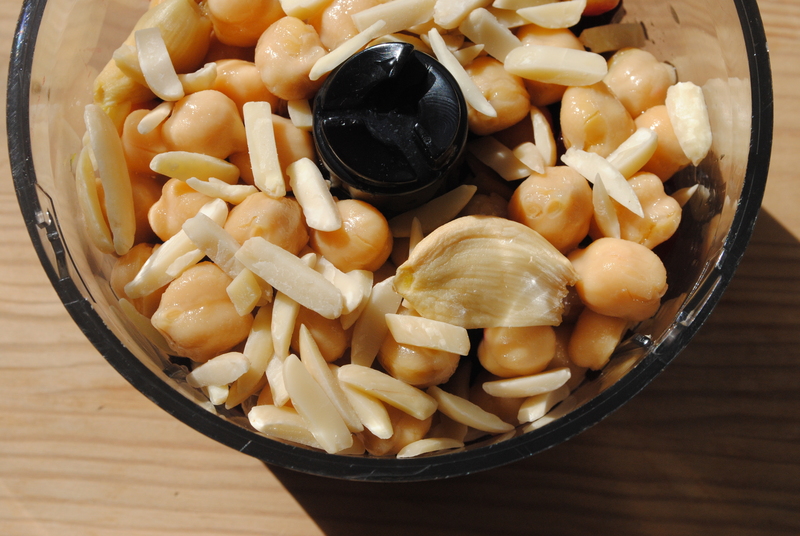 i made a larger batch to accommodate a crowd, so used a full can of chick peas & 3 medium-large beets. i used 3 cloves of raw garlic. i found the vinegar to be helpful in kicking the flavor up a notch! !